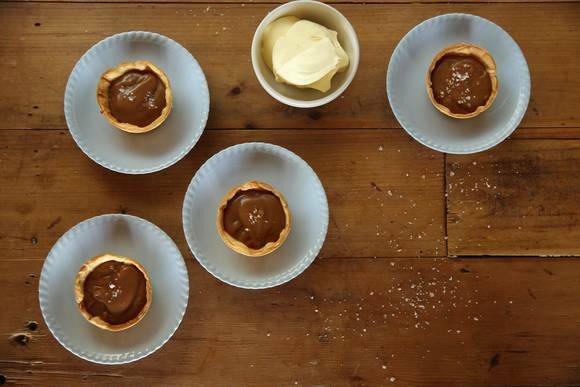 Step 2: Place the pastry discs into a cup cake mould then line with baking paper and weigh down with baking beads. 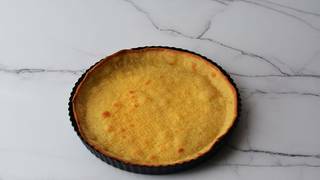 Step 4: Remove from the oven and place the tart shells into a wire rack and set aside to cool. 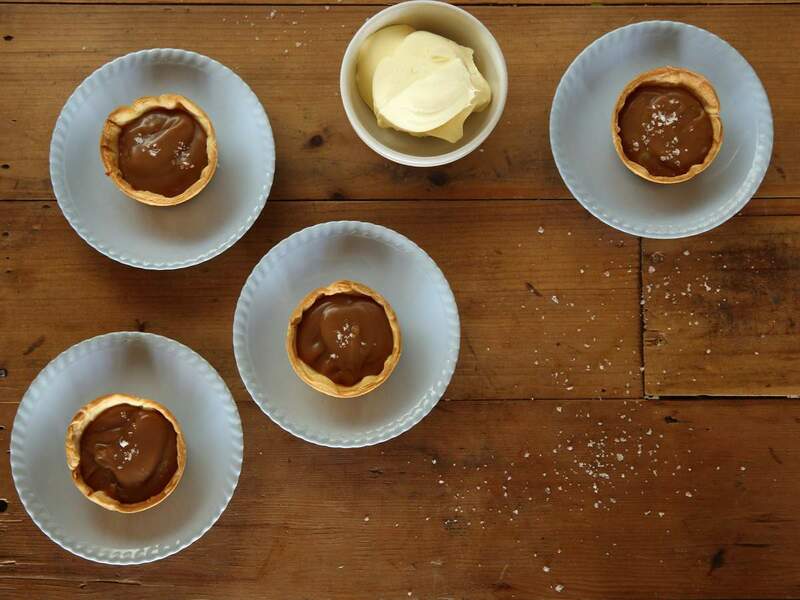 Step 5: To serve, place spoonfuls of the Salted Brandy Caramel into each tart shell, and top with a pinch of salt flakes. 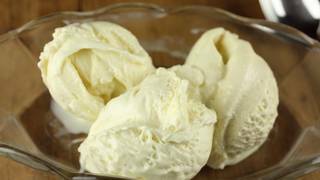 Step 6: Serve with creme fraiche or thick cream, if desired.